When we arrived at the checkin hotel the manager (mette? 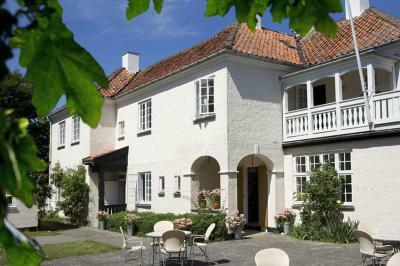 )offered for us to stay in a room there as she told us the room at villa strand was small. Not realising the villa was closed down and how small the room actually was, we decided to go there. The breakfast was lovely. Mette was lovely. Would like to return one day when the renovation to villa strand is done. The location is very good. Nice situation in front of a very nice beach at a 5 minutes walk in the soft sand of dunes. The nice breakfast. A pleasant stay. Morgenmad var super. Vi spiste morgenmad kl. 8 og var så mætte, at vi rykkede frokosten, til kl. 14. Fint läge nära stranden - härligt att kunna gå i badbyxor direkt från rummet till sandstranden, fint att det fanns en vattenslang bakom uteserveringen att spola av fötterna med när vi badat. Trevlig personal och härligt att få frukosten serverad vid bordet. Vi kommer nog igen. Haven og strandbaren + hovedhuset hvor morgenmaden serveres. Beliggenhed rigtig god. Det som var bra var baren i trädgården med dess trevliga personal. Fantastisk trädgård. Nära stranden. Hade bokat det minsta rummet på 8 kvm och det var fullt tillräckligt för bara en övernattning. Fräscht badrum. Nära till allt för fest och bad. Äkta dansk morgonmat i grannhotellet 100 meter därifrån där man också checkar in och ut. Jättefint läge nära stranden och väldigt bra frukost! Mysiga rum och hjälpsam personal. Jättebra läge med stranden bara på andra sidan sanddynen och gångavstånd till flera restauranger och ett fett hörn med olika foodtrucks. Jag läser recensioner med klagomål om att incheckning och frukost är på närliggande hotell, lite spindelväv och slitage på byggnaden och ingen havsutsikt, men det störde inte alls vårt intryck. Vi trivdes jättebra och hade gärna stannat mer än en natt. One of our top picks in Hornbæk.Found along a sandy beach by the Kattegat Sea, this B&B is 10 minutes’ walk from Hornbæk Station and the harbor. It offers free WiFi and sun terraces with sea view. Set in a 1920s villa, the bright rooms all features a private bathroom. Guests can also enjoy a drink at the property's bar. The 17th-century Kronborg Castle are 7.5 mi away. Copenhagen is within 45 minutes’ drive of the hotel. 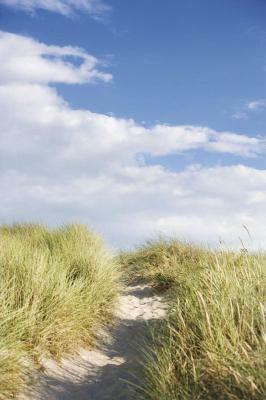 When would you like to stay at Villa Strand? These rooms are located in the hotel's main building and feature a work desk. House Rules Villa Strand takes special requests – add in the next step! All children under 2 years are charged DKK 250 per night in a crib. 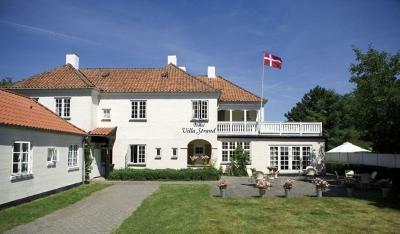 Please note that breakfast is served at Hotel Hornbækhus, a 3-minutes walk from Villa Strand. Please note that some rooms are located in the annex building, not in Villa Strand. Please note that there is no staff at this property, as it is self-service. Please inform Villa Strand of your expected arrival time in advance. You can use the Special Requests box when booking, or contact the property directly using the contact details in your confirmation. We were not informed that the villa building was closed down. We were in a tiny room that looked like it could have been once a stable. The photos of the site were misrepresented. I believe we were the only guests there. I would have preferred to have been advised in advance of the situation. Very nice main charming old hotel but quite strangely abandoned and desert. We were in the annex wich could be noisy and the double bed was very small.